Community groups across south Norfolk are celebrating after almost £115,000 was dished out for renovation projects. Two churches received funding with £14,070 going to the historic church at Flordon for a project to preserve it’s 13th century timber roof to turn it into a community centre. The money will pay for work to remove pews and install a level timber floor, to improve heating and lighting, restore the Victorian vestry, and install a kitchen. 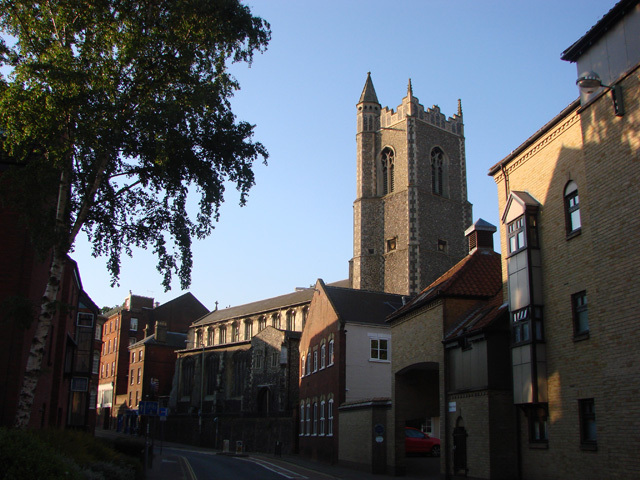 Wymondham Abbey was awarded £10,000 towards the Abbey Experience Project and in particular to enhancements to the church yard. This includes funding for a medieval herb garden with seating, picnic benches, hard standing and display panels explaining the history of the Abbey. As rebels searched the bags of the truck passengers at a checkpoint near Timbuktu, one man was trying to hide his nervousness. Mohamed Diagayete, an owlish scholar with an eager smile, was silently praying that the rebels would not discover his laptop computer. Buried in his laptop bag was an external hard drive with a cache of thousands of valuable images and documents from Timbuktu’s greatest cultural treasure: its ancient scholarly manuscripts. Radical Islamist rebels in northern Mali have repeatedly attacked the fabled city’s heritage, taking pickaxes to the tombs of local saints and smashing down a door in a 15th century mosque. 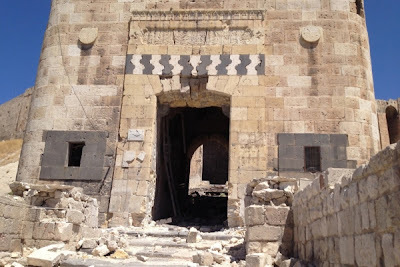 They demolished several more mausoleums this week and vowed to destroy the rest, despite strong protests from UNESCO, the United Nations cultural agency. With the tombs demolished, Timbuktu’s most priceless remaining legacy is its vast libraries of crumbling Arabic and African manuscripts, written in ornate calligraphy over the past eight centuries, proof of a historic African intellectual tradition. 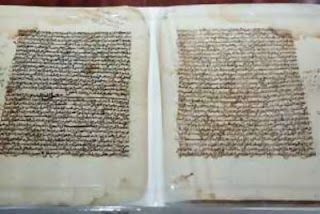 Some experts consider them as significant as the Dead Sea Scrolls – and an implicit rebuke to the harsh narrow views of the Islamist radicals. Archaeogists who have completed the excavation of a 900-seat arts centre under one of Rome's busiest roundabouts are calling it the most important Roman discovery in 80 years. The severity of Friday’s sentences was due to the high market value of the loot — more than 70 artifacts from the 6th century B.C. A centuries-old mystery surrounding the bones of King Canute could soon be solved by forensic experts. They are to examine the skeletal remains of Anglo-Saxon royalty that have lain in wooden ‘mortuary chests’ at Winchester Cathedral for more than 350 years. 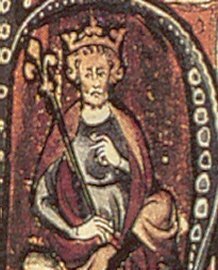 Canute, the 11th Century king who famously tried to command the tides, was buried in the cathedral but his remains and those of his family were scattered when Roundheads ransacked it during the English Civil War. 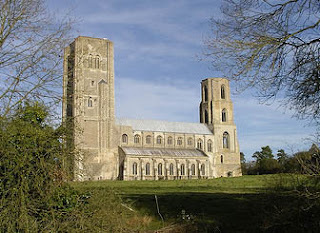 The remains of Canute, Queen Emma and their son Harthacanute, along with other kings, including Egbert, Ethelwulf and the Norman King William Rufus, were gathered up and placed in six caskets. 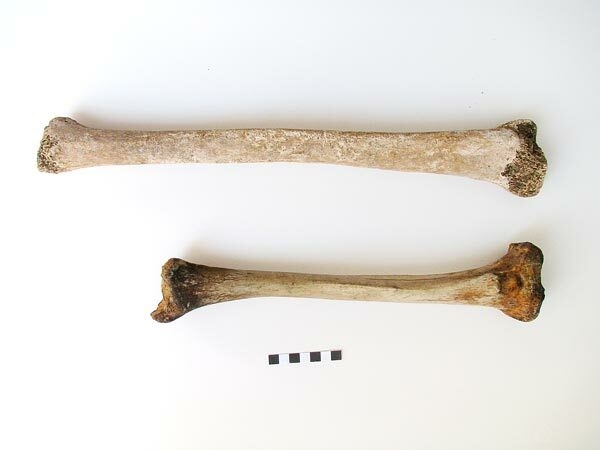 But identifying and separating the jumbled bones has proved impossible for historians. 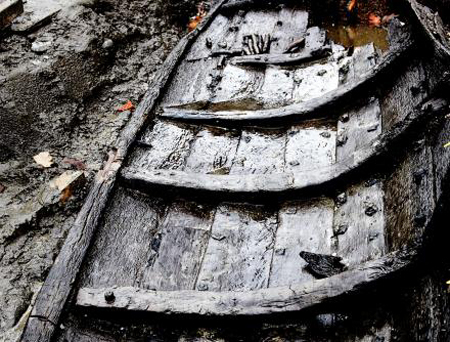 “A tree-ring dating of the rowboat reveals that the wood that the boat was built of was felled around the year 1390. So a good estimate would be that the boat has been sailing around in the moat around the year 1400,” he says. With this dating, the soon-to-be-opened Danish Castle Centre in Vordingborg can boast of housing Denmark’s only preserved medieval rowboat. The two year study which was funded by the European Culture Fund and the British Academy traced the paintings, which were previously thought to be by Hieronymus Bosch and Pieter Bruegel the Elder, back to workshops in 16th-century Antwerp. 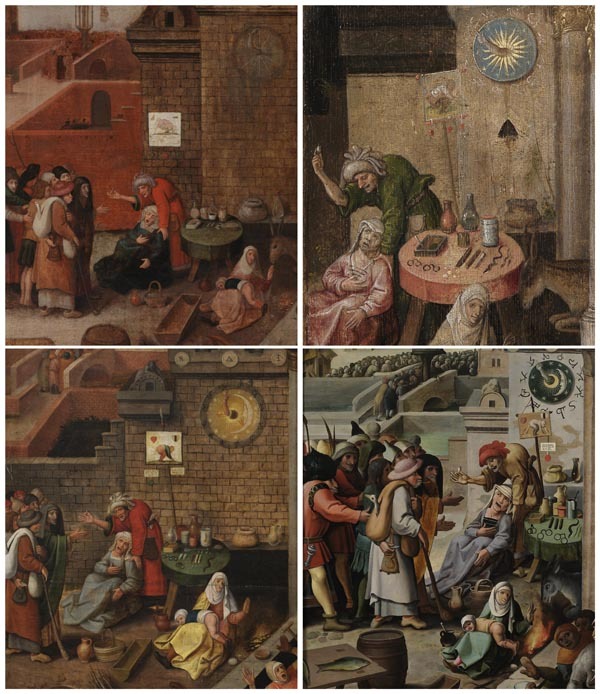 The project, entitled ‘Bosch and Bruegel: Four paintings magnified’, involved the collaboration of conservators, conservation scientists and art historians from around Europe. Researchers used state of the art infra-red imaging, X-radiography, dendrochronology, pigment and binding-medium analysis to investigate the works, which all depict Christ driving the Traders from the Temple. The groundbreaking technology used on the project gave the team a rare glimpse inside the artist’s studio of the era by allowing the experts to look through the layers of paint to see the secrets of composition. This close analysis yielded a greater understanding of materials, techniques and studio practice of the time. Dr Erma Hermens, Senior Lecturer in Technical Art History, who led the project at the University of Glasgow, said: “Dr Erma Hermens, Senior Lecturer in Technical Art History, who led the project at the University of Glasgow, said: “The theme of Christ driving the Traders from the Temple was popular in the 16th-century merchant and bankers' city of Antwerp and works by Bruegel and Bosch were widely admired, imitated, copied and faked. The findings are showcased in a book ‘On the Trail of Bosch and Bruegel: Four paintings under cross-examination’, and a multimedia exhibition, ’Art Detectives: Investigating Bosch and Bruegel’, organised together with Glasgow Museums, which will open in the Kelvingrove Museum on Thursday 22 November 2012, following exhibitions in Tallinn and Copenhagen. The research used specialist technical art history facilities in Denmark, Estonia and Scotland, including Scanning Electron-Energy Dispersive X-ray Microanalysis at the University of Glasgow’s Imaging Spectroscopy and Analysis Centre (ISAAC). 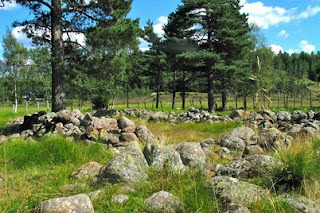 This is not the first sign of hemp cultivation in Norway this far back in time, but the find is much more extensive than previous discoveries. “The other instances were just individual finds of pollen grains. Much more has been found here,” says Frans-Arne Stylegar, an archaeologist and the county's curator. Sosteli is also further away from current-day settlements than other sites where cannabis finds have been made. Hemp is the same plant as cannabis, or marijuana. 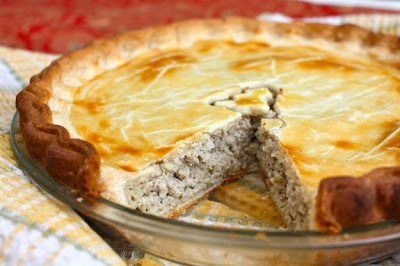 But nothing indicates that the Vikings cultivated the plant to get people high. Greenland’s Viking settlers, the Norse, disappeared suddenly and mysteriously from Greenland about 500 years ago. Natural disasters, climate change and the inability to adapt have all been proposed as theories to explain their disappearance. But now a Danish-Canadian research team has demonstrated the Norse society did not die out due to an inability to adapt to the Greenlandic diet: an isotopic analysis of their bones shows they ate plenty of seals. Located between the left parietal bone and the back of the skull, which had been filled with resin, the object was discovered in 2008 through a series of CT scans. Researchers then inserted an endoscope (a thin tube often used for noninvasive medical procedures) into the mummy to get a closer look and ultimately detach it from resin to which it had gotten stuck. The skeleton found in the resting place of Richard III has been confirmed as belonging to the king - but scientists are holding the news back for greater publicity, it has been claimed. The human remains were uncovered in September in what is now the car park of Leicester City Council’s social services department. Since then, a number of tests have been taking place to determine if the bones belong to the Plantagenet king, including DNA tests. But, according to The Daily Telegraph, even if long-awaited DNA results prove inconclusive, the archeologists will still announce that the remains belong to Richard III. 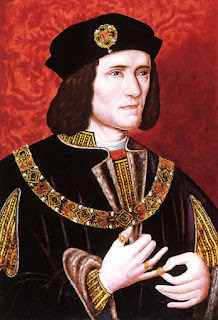 A source, who has knowledge of the excavation, told the newspaper that additional evidence which was not revealed at a press conference following the discovery of the remains demonstrates beyond doubt that the skeleton is Richard III. Another source said that new evidence will not be revealed until a Channel Four documentary is shown in January. It is believed a number of people working on the project have become frustrated that emerging evidence has not been revealed to the public. 'Unfortunately, an awful lot of stuff is being kept from the public', the source told the newspaper. At the beginning, surrounded by verdant farmland, the archaeological secrets of two ancient cities lay dormant below the surface on a Mediterranean island. That changed when William Childs, Professor of Art and Archaeology Emeritus, arrived at that rustic spot on the northwest coast of Cyprus in the early 1980s to explore the possibility of establishing an archaeological expedition for Princeton. Childs brought with him a handful of graduate students who, under hardscrabble conditions, worked with basic tools — pickaxes, shovels, trowels, brushes and wheelbarrows — while all along taking notes. Little did they know that their efforts would unearth a Cypriot “City of Gold” that would lead to decades of educational opportunities for Princeton students. Since a course called “Archaeology” was introduced on campus in 1843, the University has challenged students in the classroom and on excavations abroad to experience the culture, history, art, architecture and politics of the ancient world. In 1883, a formal Department of Art and Archaeology was founded. A century later, the Princeton University Archaeological Expedition at Polis Chrysochous — that scrap of land in Cyprus — was established with Childs as director. The excavation set the stage for hands-on learning experiences for hundreds of Princeton students; new academic courses; and a major loan exhibition, “City of Gold: Tomb and Temple in Ancient Cyprus,” on view until January 20, 2013, at the Princeton University Art Museum. 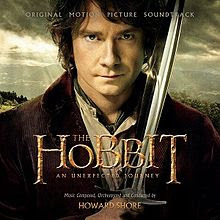 Simon Tolkien: "I don't think JRR would have enjoyed watching the films" Simon Tolkien shares his view on the Lord of the Rings trilogy and the latest adaptation of his grandfather's books The Hobbit on 5 live Breakfast with Nicky Campbell and Rachel Burden. NZ hit by Tolkien fever as Hobbit premiere nears Stars from the new Hobbit movie have joined die-hard fans in New Zealand ahead of the world première of the prequel to the Lord of the Rings trilogy. JRR Tolkien estate to sue Warner Bros over The Hobbit The estate of The Hobbit author JRR Tolkien is to sue the studio behind a new film adaptation of the novel, over claims of copyright infringement. The suit, filed in California, says film-makers licensed the Hobbit brand for online casino slot machines and other forms of gambling, damaging the author's legacy. The family is claiming $80m (£50m) in damages. Theresa Russ on Tolkien and The Hobbit With the much-anticipated premiere of The Hobbit coming on Friday, we offer this video interview with Theresa Russ, a Ph.D. student in English at UC Santa Barbara. Russ discusses the evolution of the Tolkien fantasy genre. Hobbit's Peter Jackson on bringing Tolkien classic to screen Interview "The Hobbit" director Peter Jakson. Jackson talks about the roots of his imagination and pioneering film making, and reveals secrets about the upcoming "Lord of the Rings" prequel. Do you love J.R.R. 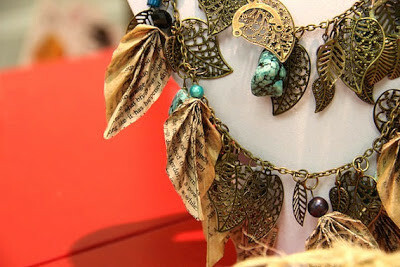 Tolkien’s books so much that you could just wear them? One local designer has just answered your prayers. Director Peter Jackson isn’t the only one repurposing J.R.R. Tolkien’s works this holiday season: U of T civil engineering student Lee Hamu has upcycled some of the author’s classic works to create eco-friendly jewelry, household items, and various paper products. Currently constructing Tolkien-themed glass Christmas bulbs (among other projects), the 23-year-old Hamu spoke to The Grid on the eve of The Hobbit‘s Dec. 14 theatrical release about some of the Frodo-friendly items for sale—or soon to be available—at her Etsy store. Emma Cunliffe sits in a tiny graduate student’s office on the medieval campus of the University of Durham. But her mind is thousands of miles east, in Syria. Every day she goes online, sometimes for a few hours, to monitor the Facebook feeds of local Syrian groups for word about damaged sites. She’ll scroll past horrific photos of dead children till she comes across mention of a new archaeological site that was shelled or plundered. She says it’s incredible just how much you can find out from these posts. Polish archaeologists have discovered the entrance to a previously unknown tomb during excavation work in Egypt. The discovery was made at the historic necropolis of Saqqara, which had functioned as a burial ground for the Ancient Egyptian capital of Memphis. Archaeologists had been carrying out excavations at the tomb of a dignitary named Ichi, who served at the court of Pharaoh Pepi over 4000 years ago. The first findings of the most detailed study yet by two British archaeologists into the Nazca Lines – enigmatic drawings created between 2,100 and 1,300 years ago in the Peruvian desert – have been published in the latest issue of the journal Antiquity. As part of a five-year investigation, Professor Clive Ruggles of the University of Leicester’s School of Archaeology and Ancient History and Dr Nicholas Saunders of the University of Bristol’s Department of Archaeology and Anthropology have walked 1,500 km of desert in southern Peru, tracing the lines and geometric figures created by the Nasca people between 100 BC and AD 700. 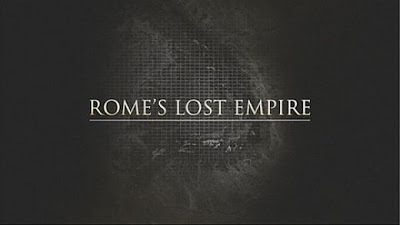 Iain Hollingshead reviews Rome's Lost Empire, BBC One's one-off documentary in which Dan Snow uses satellite technology to identify the lost cities, amphitheatres and forts of ancient Rome. Just when you thought television had had its fill of Ancient Rome, along come two more BBC documentaries. On BBC Four, Simon Sebag Montefiore has started a three-part series exploring the central role of religion in the city. 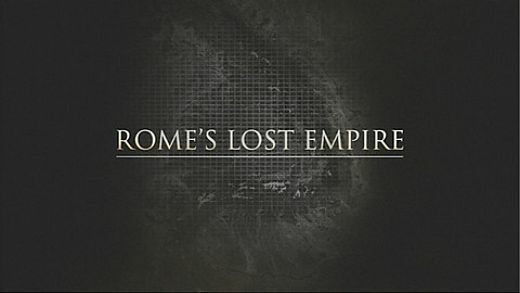 While on BBC One yesterday, Dan Snow’s Rome’s Lost Empire harnessed satellite technology to understand more about Roman military might. A £1.3m sale of the Lacock Cup to the British Museum has been approved by a Consistory Court, with the judge appealing for battling villagers to make amends. During the rarely-held two-day hearing at St Cyriac’s Church, Lacock, the Rev Justin Gau, Chancellor of the Diocese of Bristol, gave permission for the sale of the chalice, which dates back to the 1400s and is insured for £2.2m. The origins of the cup, which has been on loan to the London museum since 1963, are uncertain, but it is believed to have been donated to St Cyriac’s Church by Sir Robert Baynard, of Lackham Manor, 400 years ago. The University of North Texas is sponsoring the 7th Annual Medieval Graduate Student Symposium on Thursday and Friday April 11th and 12th, 2013. Dr. Janet Snyder, Professor of Art History at the West Virginia University, author of Early Gothic Column-Figure Sculpture in France: Appearance, Materials, and Significance (Ashgate 2011). Dr. Susan Boynton, Professor of Musicology at Columbia University, author of Shaping a Monastic Identity: Liturgy and History at the Imperial Abbey of Farfa, 1000-1125 (Cornell University Press, 2006). 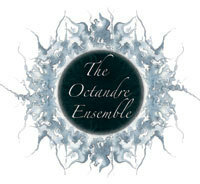 Octandre Ensemble: Medieval Modernist - this Saturday in London! Church of St. Lawrence Jewry-next-Guildhall, Gresham Street, EC2V 5AA. The Octandre Ensemble presents a concert featuring the work of its Patron, Sir Harrison Birtwistle. The programme includes his arrangements of music by Ockeghem and Machaut as well as modernist works by him and others, including Stravinsky, Holst and Mason, revealing contrasts and connections. Refreshments will be served, including mead, mulled wine and mince pies. The earliest depiction of Scottish tartan has been discovered – on a fragment of a Roman statue. The bronze statue once stood on top of a giant triumphal arch in the ancient Moroccan city of Volubilis, in the south-west corner of the Roman Empire, 1500 miles from Scotland. 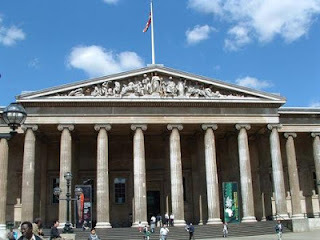 It depicted the Emperor Caracalla – the self-styled conqueror of the Caledonians – riding a six-horse chariot. The statue, erected 1800 years ago, was destroyed centuries ago, and only a three-foot-long fragment of the emperor's cape remains in a museum in Rabat. Remarkably, the surviving bronze includes the image of a captive Caledonian warrior – wearing tartan trews. 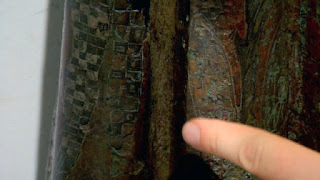 Dr Fraser Hunter, of the National Museum of Scotland, yesterday identified the carving – inlaid with bronze and silver to give texture to the Scottish weave – as the "first-ever depiction of tartan". Long ago and far away, in lands now known as Southern France and Northern Italy, many people the church considered “bad” lived in small villages scattered throughout the countryside. They were known by various names -- Cathars, Waldensians, Manichees, Albigensians and Donatists. What they had in common was that their ideas were seen as wrong, a threat to the unity of Christian Europe. They therefore had to be snuffed out. This was in the 11th, 12th and 13th centuries. Their offense was heresy -- to believe or express an idea contrary to what was taught by the Roman Catholic church, and to refuse to “correct” that “wrong” idea. To refuse was to be tried, convicted and killed -- usually burned alive at the stake in the town square as an example to those who might insist on having ideas of their own. All this was by order of the church. The popes, who had already sent crusaders to the Holy Land to reclaim Jerusalem, would periodically send a local crusade to Southern France. 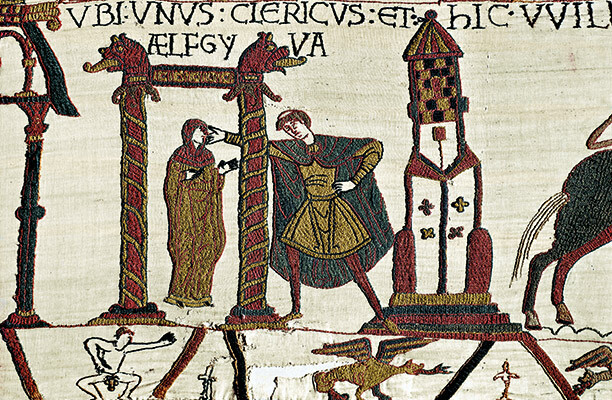 But that was more than 800 years ago, and nothing like that could happen today. Is that clear? Experts have uncovered a medieval trench filled with ground layers coming from a cemetery and containing a number of human bones during research into the courtyard of a Prague building that is to host the Vaclav Havel Library after reconstruction, Jana Marikova Kubkova told CTK. Marikova Kubkova is the spokeswoman for the Archaeological Institute carrying out the research. The planned reconstruction of the historical house, built in the 16th century near Prague Castle, has stirred up stormy discussions. A couple of years ago, the house was bought by businessman Zdenek Bakala, whose foundation sponsors the Vaclav Havel Library. 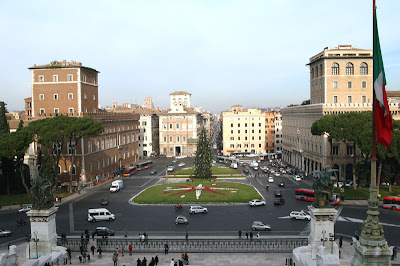 The reconstruction design was presented by Spanish architect Ricardo Bofill. Apart from publicly accessible premises, the building is to offer accommodation capacities and a private flat. Call it a card player's dream. 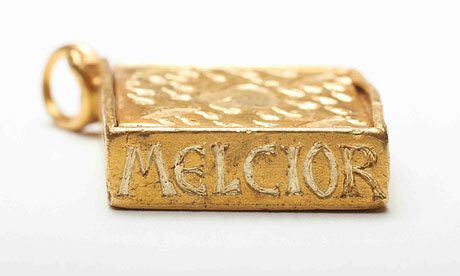 A complete set of 52 silver playing cards gilded in gold and dating back 400 years has been discovered. Created in Germany around 1616, the cards were engraved by a man named Michael Frömmer, who created at least one other set of silver cards. 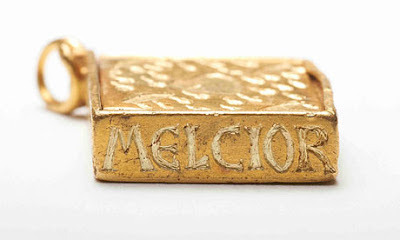 According to a story, backed up by a 19th-century brass plate, the cards were at one point owned by a Portuguese princess who fled the country, cards in hand, after Napoleon's armies invaded in 1807. At the time they were created in 1616 no standardized cards existed; different parts of Europe had their own card styles. This particular set uses a suit seen in Italy, with swords, coins, batons and cups in values from ace to 10. Each of these suits has three face cards — king, knight (also known as cavalier) and knave. There are no jokers. The Flodden 500 Project will receive £887,300 from the Heritage Lottery Fund to commemorate the 500th anniversary of one of the largest battles ever fought between Scottish and English forces. The battle of Flodden was fought in the county of Northumberland in northern England on 9 September 1513 with over forty thousand men on the battlefield. 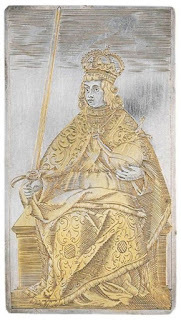 King James IV of Scotland died in the battle, the last monarch from the British Isles to suffer such a death to date. The project, which is being managed by the Flodden 1513 Ecomuseum, will bring together communities of the Scottish and Northumbrian border areas. 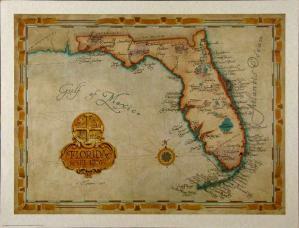 It will last over a four year duration to ensure that legacy is created beyond the actual commemoration events in 2013. A rare medieval sword, which had been given to the Mamluk rulers of Egypt and then looted from them by the same Crusader king, sold for £163,250 at auction this week, with an entire collection taking in bids over £ 1 million. Bonhams auction house in London held a sale of medieval and Viking swords, with many of them selling for six or seven times the expected price. 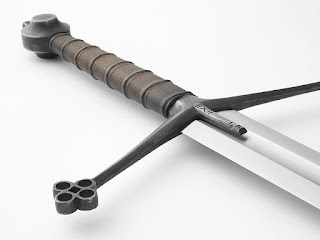 The crusader sword was estimated to sell for between £40,000 to £60,000. The Italian-made weapon was given as a gift to the Mamluk sultans of Egypt as part of a gift sealing a treaty. The sword was kept in Alexandria, but did not reside their long. Peter I launched the a crusade in 1362 against the Mamluks and his fleet captured Alexandria. They returned to Cyprus with immense amounts, including this sword. Moravian College will host the seventh annual Undergraduate Conference in Medieval and Early Modern Studies on Saturday, December 1, 2012. 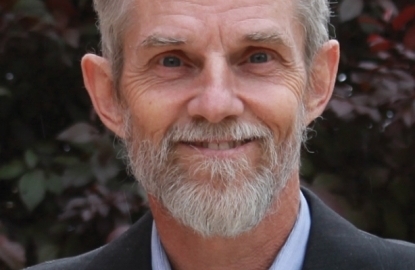 Over 80 students from 34 different schools will be presenting their research, and Dr. Alfred Siewers of Bucknell University will be the plenary speaker. In addition to the student research presentations, there will also be an exhibit by a calligrapher and demonstrations in medieval spinning and weaving by a medieval textile specialist. The day will end with a concert of medieval and early modern music by My Lord Chamberlain’s Consort at Trinity Episcopal Church in Bethlehem. The Conference provides an excellent opportunity for students practice giving professional presentations and to share their research, which they have dedicated so much time and effort to, with an audience broader than their classroom. This year 12 Moravian students will be presenting papers on a wide variety of topics, including an analysis of Robin Hood films, images of disability in the Game of Thrones series, and gender roles in medieval video games. Many Moravian students and faculty will also be involved in chairing sessions, running registration, and helping with setup and cleanup. When you bury family members in a cemetery, you expect them to stay there. Not so 200 years ago, however, when body snatchers prowled the nation’s burial grounds looking for subjects. This lucrative cottage industry was driven by an acute shortage of bodies that were available for dissection by the growing number of medical students. Now, a new book has amassed, for the first time, archaeological evidence for what happened to the corpses, from dissection and autopsy through to reburial and display. Many of the new findings have never been published before. 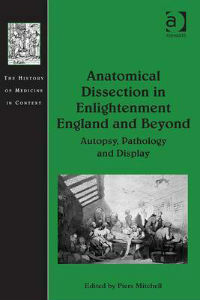 The book reveals how the macabre activities of the body snatchers helped to further the progress of medicine and science by improving understanding of how the human body worked. 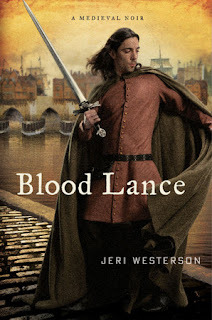 Author Jeri Westerson has done it again: She's managed to craft another fascinating, entertaining, engaging book in a style that's been dubbed "medieval noir." Her latest book, Blood Lance, is the fifth in her series of books about Crispin Guest, a detective of sorts during the medieval era, a man who was previously a knight. One of the many aspects of this book and series I enjoy is how Westerson combines history with fiction, even historical figures with fictional ones, with grace and eloquence. In our latest interview--I previously interviewed her about her book Troubled Bones--she also talks about her concerns about the state of the publishing industry and how it will affect authors including herself. One of the most persistent theories has been that he died of mercury poisoning, either because he voluntarily ingested large quantities of mercury for medicinal purposes, or because mercury was used to poison him. Rumours of death by poisoning arose shortly after Tycho Brahe’s death. Brahe’s famous assistant Johannes Kepler has been identified as a possible murder suspect, and other candidates have been singled out for suspicion throughout the years, according to Dr Jens Vellev, an archaeologist at Aarhus University in Denmark who is heading the research project. Engineers from Loughborough University have used the latest cutting-edge technology to bring to life an ancient Egyptian inscribed tablet. Working with The Manchester Museum, Loughborough’s Professor John Tyrer has created a high-tech interactive display that will enable visitors to immerse themselves in the story behind the Stela of Hesysunebef. Stelae were set up at religious sites to commemorate individuals or groups of people. They formed a permanent record of someone and allowed them to participate eternally in religious rituals. The Stela of Hesysunebef is separated into three horizontal sections, called registers. The top register shows Neferhotep, the foreman of a gang of workmen who lived at the village of Deir el-Medina. He stands on the prow of a boat used to carry the statue of the goddess Mut. 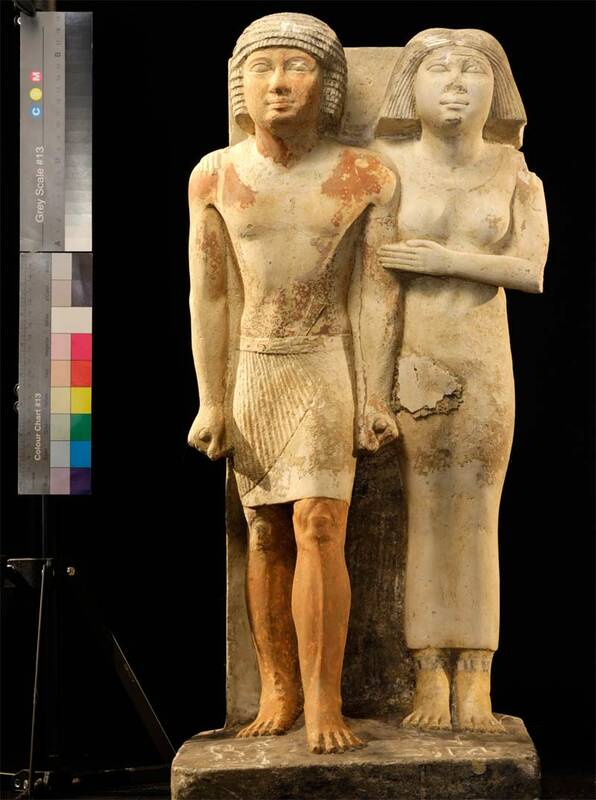 The middle register shows Hesysunebef, the adoptive son of Neferhotep and his family, who are all kneeling in adoration before the foreman. The lower register shows five more people including the parents-in-law of Hesysunebef. It dates back to around 1600 BC. In trying to understand ”the million dollar question” as Laynesmith puts it, several different explanations have been attempted. 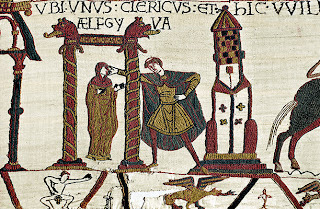 Laynesmith believes that this Ælfgyva was most likely Emma, who was the wife of two Anglo-Saxon kings - Æthelred the Unready and Cnut, and was the mother of two more – Harthacnut and Edward the Confessor, or that it could be Ælfgyvva, the first wife of Æthelred. The human race is slowly losing its intellectual and emotional capabilities because it no longer faces extreme evolutionary pressures, new research contends. 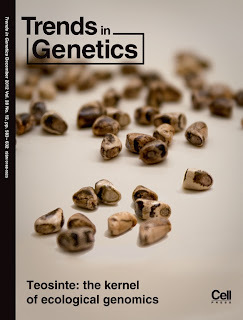 Human intelligence and behavior require optimal functioning of a large number of genes, but the intricate web of genes that gives people these capabilities has started to backslide, the scientists said in an article appearing Nov. 12 in the journal Trends in Genetics. "The development of our intellectual abilities and the optimization of thousands of intelligence genes probably occurred in relatively nonverbal, dispersed groups of peoples before our ancestors emerged from Africa," study author Dr. Gerald Crabtree, of Stanford University, said in a journal news release. In the early stages of human evolution, intelligence was critical for survival and there was immense selective pressure acting on the genes required for intellectual development. But once humans achieved a certain level of evolutionary progress, they slowly began to lose ground. 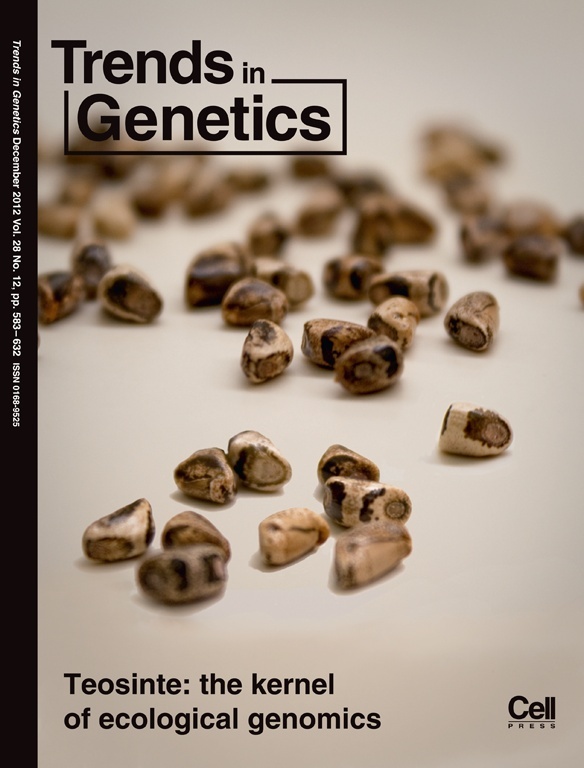 The development of agriculture led to urbanization, which may have weakened the power of natural selection to eliminate mutations that caused intellectual disabilities, the researchers explained. Based on the frequency that harmful mutations appear in the human genome and the assumption that 2,000 to 5,000 genes are required for intellectual ability, Crabtree estimated the effect that the past 3,000 years (about 120 generations) of human history have had on humans. He concluded that all people now carry two or more mutations harmful to their intellectual or emotional stability. He noted, however, that the loss of intellectual and emotional capabilities is quite slow and it's likely that a solution will be found in the future. "I think we will know each of the millions of human mutations that can compromise our intellectual function and how each of these mutations interact with each other and other processes, as well as environmental influences," Crabtree said. "At that time, we may be able to magically correct any mutation that has occurred in all cells of any organism at any developmental stage," he said. "Thus, the brutish process of natural selection will be unnecessary." The archers who fought on Henry VIII’s warship the Mary Rose, which sank in 1545, would have been elite soldiers for their time, standing over 6 feet tall and able to pull weights over 200 lbs. These findings come from a new research project being carried out by sports scientists at Swansea University and the Mary Rose Trust to discover more about the lives of the 16th century archers on board the ship. When the ship was raised from the Solent in 1982, many thousands of medieval artefacts along with 92 fairly complete skeletons of the crew of the Mary Rose were recovered. Nick Owen, Sport and Exercise Biomechanist from the College of Engineering at Swansea University said, “This sample of human remains offers a unique opportunity to study activity related changes in human skeletons. It is documented that there was a company of archers aboard when the ship sank, at a time when many archers came from Wales and the South West of England." Underwear dating from medieval times that was found under flooring of an Austrian castle is hardly racy by the standards of today. But the discovery does suggest that women in 15th-century Europe took pride in their appearance, and perhaps not just the privileged classes. The University of Innsbruck announced this summer that "the world's oldest brassieres" had been found at Longberg Castle in Tyrol, western Austria. The cotton garments were decorated, much like today, with lace and embroidery. It might not be a stretch to suggest that such underwear was designed for those "special occasions," scholars say. At the heart of Tyrol, an area lined with precipitous alpine peaks, is the city of Innsbruck. The items were found during renovations of the castle in summer 2008. The castle lies to the south of the city. Four brassieres were found amid a heap of cotton material, clothing and leather footwear under the third floor. 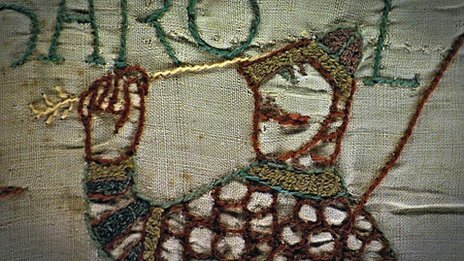 Carbon dating by the university's archaeological research team dated the garments to between 1440 and 1485, making them the oldest in existence. Rocks carved into ancient stone arrowheads or into lethal tools for hurling spears suggest humans innovated relatively advanced weapons much earlier than thought, researchers in South Africa say. The researchers' finds, partially exposed by a coastal storm, suggest ancient peoples were capable of complex forms of thinking, scientists added. "These people were like you and I," researcher Curtis Marean, a paleoanthropologist at Arizona State University in Tempe, told LiveScience. Modern humans originated in Africa about 200,000 years ago, but when modern human ways of thinking emerged remains controversial. For instance, some researchers note that the first signs of complex thought such as art appeared relatively late in history, suggesting that genetic mutations linked with modern human behavior occurred as recently as 40,000 years ago. Other scientists argue that modern human thought originated much earlier but that the evidence was largely lost to the rigors of time. Imagine a stick partially submerged in a pool of water. It appears to be broken at the point where water meets air, but in fact it is in one piece. This optical illusion is called refraction: as light passes from one medium to another, it bends and changes speed based on each medium’s refractive index, causing the stick in water to appear bent. Most people are familiar with the scientific definition of refraction. But have you ever considered it as a moral concept? Say there’s a man on the street digging through a dumpster. You might see him as being “broken.” But as refraction teaches us, things are not always as they appear. The idea that scientific principles might also have philosophical applications is explored in The Moral Treatise on the Eye, a text written in the late 13th century by Peter of Limoges. The Moral Treatise is a compilation of short narratives, or exempla, meant to help preachers deliver sermons. Each chapter offers a piece of knowledge about the field of optics. Peter of Limoges first explains the concept scientifically, and then gives a moral or religious interpretation, like in the refraction example. 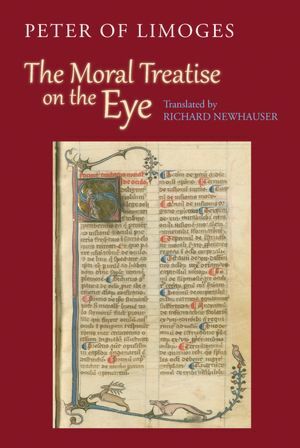 The Moral Treatise on the Eye combines scientific thought with concepts of moral theology. This blending of disciplines is part of what appealed to Newhauser, who recently published a translation of the text with extensive explanatory footnotes. It's no tall tale—the first complete ancient skeleton of a person with gigantism has been discovered near Rome, a new study says. At 6 feet, 8 inches (202 centimeters) tall, the man would have been a giant in third-century A.D. Rome, where men averaged about 5 and a half feet (167 centimeters) tall. By contrast, today's tallest man measures 8 feet, 3 inches (251 centimeters). Finding such skeletons is rare, because gigantism itself is extremely rare, today affecting about three people in a million worldwide. The condition begins in childhood, when a malfunctioning pituitary gland causes abnormal growth. Two partial skeletons, one from Poland and another from Egypt, have previously been identified as "probable" cases of gigantism, but the Roman specimen is the first clear case from the ancient past, study leader Simona Minozzi, a paleopathologist at Italy's University of Pisa, said by email. I grew up on an early edition of Dungeons & Dragons and John Boorman’s Excalibur. The image of the tin-can knight — clanking and rattling as he walked, hoisted onto his horse by a crane — was the first part of my childhood that had to go when I started working on The Mongoliad, an epic collaborative tale about the Mongol invasion of Europe in the early 13th century. They’re wearing hauberks, long shirts that hang nearly to their knees made from interlinked iron rings. They called it “maille,” plain and simple, and if the troubadours were getting all poetic about these battles, they might refer to this maille as a “net.” Never “chain.” Why? Well, because it was a net. A prototype project at St Laurence’s Church, in St Benedict’s Street, was launched on Saturday in an effort to explore new ways to use the 15th-century church. The Common Room project temporarily transformed the church into a type of community space in an attempt to entice people to explore the Grade I listed Medieval church. The project has been developed by Social Spaces and 00:/ (Zero Zero) in collaboration with The Churches Conservation Trust, a national charity which protects historic churches at risk and cares for over 340 buildings around the country. St Laurence’s is one of three churches which the charity looks after in Norwich, alongside the 500-year-old Church of St John Maddermarket and St Augustine’s Church, which boasts the only 17th-century brick tower in Norwich. 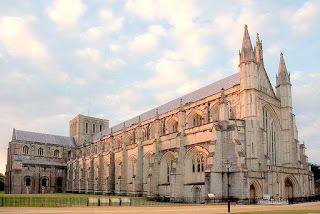 Thousands of visitors come into Canterbury Cathedral each day, where they gaze upon the hundreds of years of history in one of England’s greatest churches. Many of them will see the great stained glass images in the windows of the cathedral, believing that these were created in the Middle Ages. Unfortunately two of the most iconic images in the Cathedral are actually fakes created in the first half of the 20th century. 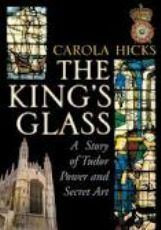 In ‘Fakes and Forgeries in Canterbury’s Stained Glass’, a lecture given last week at the University of Toronto, Rachel Koopmans explained how these images came into the cathedral and have fooled people for so long. One of the faked images is known as the Pilgrims panel, which shows four figures on the move and has been associated with the characters of the Canterbury Tales by Geoffrey Chaucer. 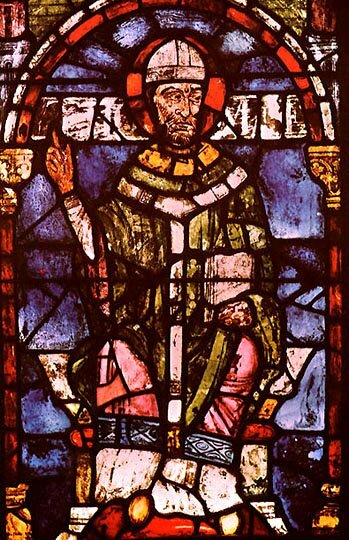 The other is a portrait of the famous martyr and saint Thomas Becket, which some books have even described as being a contemporary depiction of the twelfth-century Archbishop. Koopmans explains that both of these images, and many more in the Cathedral, were actually created by Samuel Caldwell Jr., who was the person in charge of restoring Canterbury’s glass for more than fifty years. During this time he created dozens of works and duped various church officials into believing they were genuine medieval images. 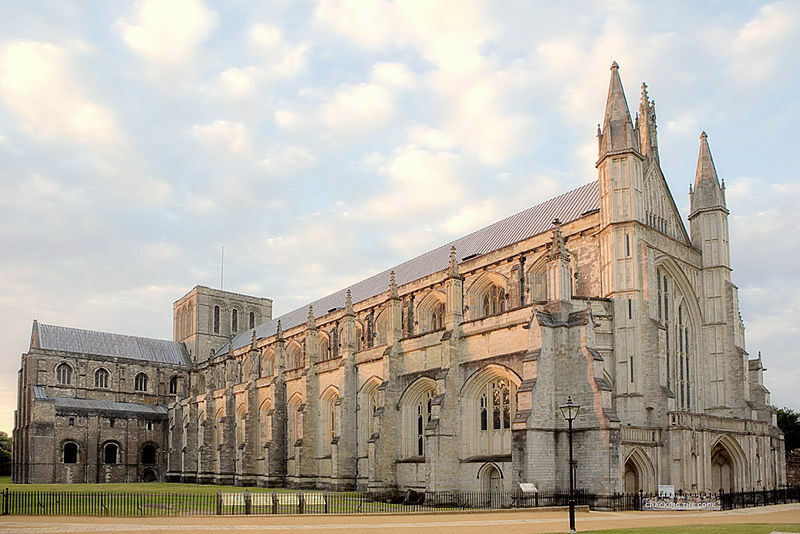 Winchester Cathedral has started preparatory work for the potentially groundbreaking research into the contents of its mortuary chests. Historians believe the wooden boxes contain the bones of Anglo-Saxon kings, including ancestors of King Alfred and the Danes such as Canute. The boxes were recently taken down from the presbytery screens and moved to the Lady Chapel at the eastern end of the cathedral where a wooden hut has been erected with a lockable door. The cathedral is hoping for funding from the Heritage Lottery Fund (HLF). Extending a business relationship that has endured for many years, Oxbow will transfer its journal publishing operation to Maney Publishing effective from 2013. Primarily a publisher of books, Oxbow Books is a publisher, distributor and retail bookseller for everything on archaeology, prehistory, the Classical world, the Middle Ages, Egyptology, Near Eastern studies, and related environmental and heritage topics. 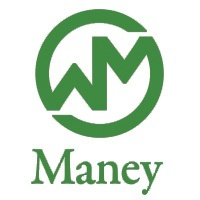 Maney benefits from Oxbow’s reach to core markets for the books and series it publishes on behalf of the Palestine Exploration Fund and the British Archaeological Association. Recognising Maney’s success in building an international portfolio of journals, Oxbow Books is pleased to license to Maney its three journals Landscapes, the Journal of Wetland Archaeology and Childhood in the Past so that they achieve full exposure to a global, institutional library market and can be sold flexibly within the MORE (Maney Online Research E-journal) Archaeology & Heritage and History collections. Both companies have grown as a result of collaborative and cooperative business models, working with societies, professional organisations and institutes to provide a viable route to market. 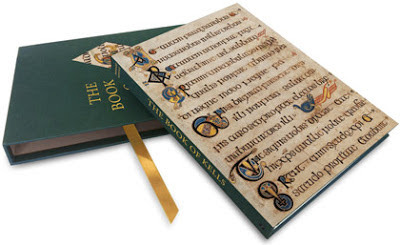 The move of Oxbow’s journals to Maney seals a partnership which both sides warmly welcome. Maney‘s Publishing Manager for Humanities, Liz Rosindale, is pleased that these journals will join the fold because “apart from fitting our profile so well, enabling us to present more excellent scholarship to archaeologists and those involved in the heritage sector, we are delighted to extend our working relationship in a new venture with our friends at Oxbow”. Oxbow’s Publishing Director, Clare Litt, is delighted with the new arrangements as "Maney has great strengths in journal publishing and a wealth of experience that will benefit our journals, enabling their subscriptions and profile to grow and we welcome the opportunity to work closely with Maney to our mutual benefit." Dating to 2500 B.C., the structure was built in the second half of the Fifth Dynasty, though archaeologists are puzzled as to why this princess was buried in Abusir South among tombs of non-royal officials. Most members of the Fifth Dynasty's royal family were buried 1.2 miles (2 kilometers) to the north, in the central part of Abusir or farther south in Saqqara. Jersey archaeologists had the first chance to explore a rare medieval priory after uncovering a stone wall. Robert Waterhouse, Societe Jersiaise Archaeologist, said the St Clement's priory had been an accidental find. He said the society knew it must have existed as there was documentary evidence, but that it had not been able to find it until now. Mr Waterhouse said: "In the summer we carried out a student excavation in the cemetery looking for [an] Iron Age and Roman settlement that was known to exist here.At the end of the investigation one of our trenches came up with a substantial stone wall while the one behind came up with a great mass of building rubble and medieval pottery. We put in a larger trench and came up trumps. We got a substantial medieval wall in the south west corner of the building."